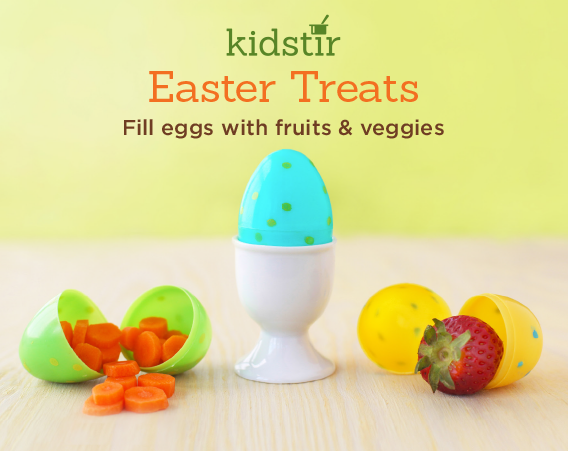 For a healthy Easter snack, fill a few plastic eggs with finger foods. Start with clean plastic eggs. Be sure to give them a wash in soapy water. Dry them with a dish or paper towel. Peel and cut carrots into rounds and rinse and dry whole strawberries, then pop them into the plastic eggs. You can also add any of the following: grapes, raspberries, almonds, chick peas, olives, and more. Previous post: Eat a rainbow!